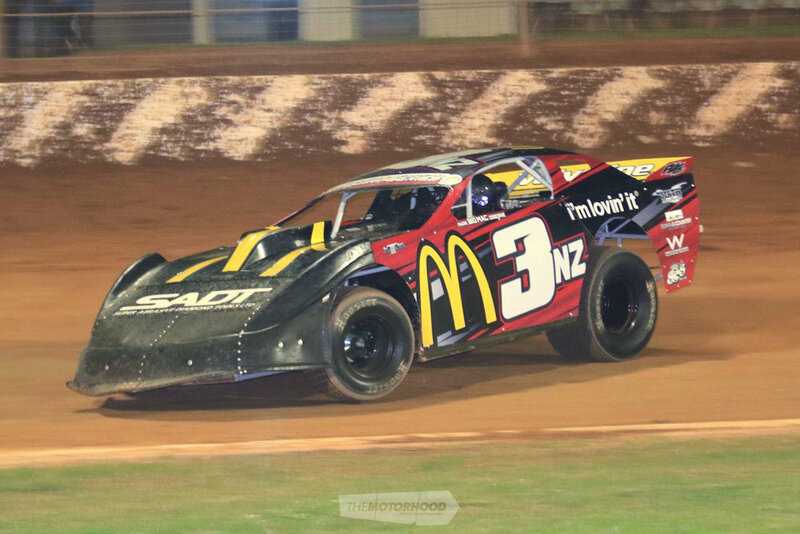 Round One of the Burger King Pro Dirt Super Saloon series kicked off 3 November, set at New Zealand’s largest and fastest dirt track, Baypark Family Speedway — measuring in at 451 metres long, with straights 18 metres wide and corners even wider. 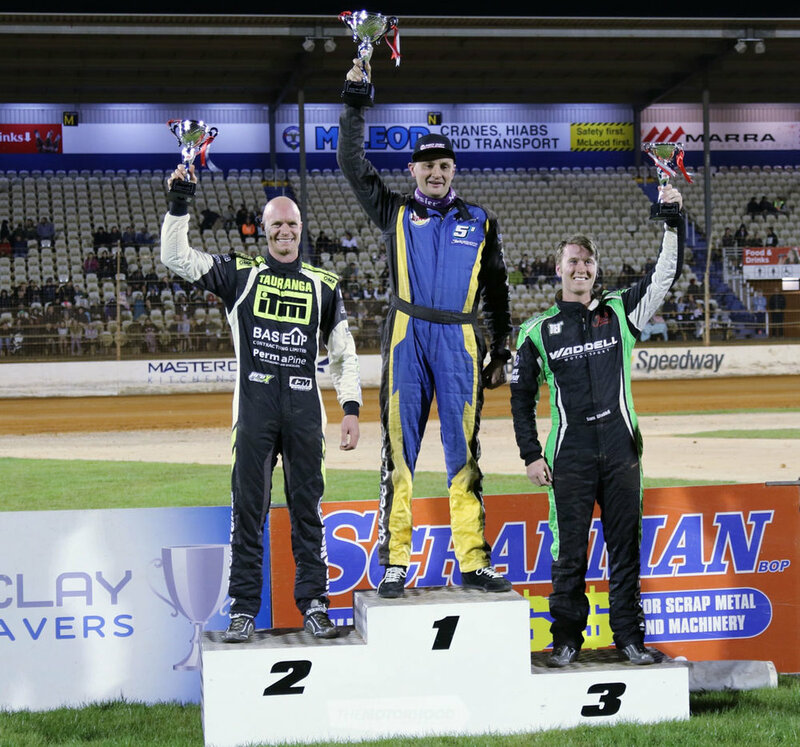 With a total of 26 cars turning up from all over the country, including south island entrants, a new format was introduced with time trials to start the night off that determine what heat grids are sorted into. This is 26 year old Matt Smith’s first venture into the Burger King Pro Dirt Super Saloon series, although not new to the Speedway scene, and drove his 432ci big-block Chev-powered car on home turf. Hailing from Wellington, former New Zealand champion Donald Gregory didn’t quiet have his suspension dialed in as the car was pulling from the left wheel higher than anybody else, not the best way to get around the track, but makes for great viewing in the spectator stands. One of the most experienced drivers in the Super Saloon series, Napier local Steve Flynn us a two time former New Zealand champion, also winner of the first event here at Baypark. Making his series debut last season, Sam Waddell carries the 2nz and came third on the night, noted for always being a hard charger. Outside of speedway, his motorsports skills secured hima spot on the 2019 Rotax MAX Kart World Finals in Brazil. Second place finisher Chris Cowling, son of Super Sallon champion 1996/97 Maurice Cowling — Chris has already won a Super Saloon series of his own back in 2016. Brothers Grant and Steve Flynn have been racing since they were kids, and neither give anything away on the track. The cars are kept immaculate thanks to their dad, Grant, who is the brains behind their series campaign and won the series last year. One of the youngest drivers, Dan Corrin, now 25 years old, placed second in the series last year, also holds the North Island Super Saloon title from last year. With a brand new car, things were looking good, but a tag of the wall produced smoke billowing from the car only a few laps later. It was found that the impact had knocked the radiator cap off and the resulting damage would not be known until the motor was pulled apart.